A tightly packed queue builds in front of a nondescript studio in Los Angeles, CA. The event details are supposedly private, but the line swells rapidly, quickly twisting down the darkened streets as boys and girls of all ages gather in hope of seeing tonight's performance or even just a glimpse of the artists as they drive by. Those who are allowed onto the chic rooftop performance space immediately pack themselves against the barricade and, once the music turns down, take their cameras out as the group takes the stage. Styled to perfection in complementary shades of gold and black, the group hold themselves with soft regality before they promptly blow off the proverbial roof with their debut single "Fire Truck." Their names are Taeyong, Jaehyun, Mark, Yuta, Johnny, Doyoung, Taeil, Winwin, Haechan and Jungwoo, and they are currently 5,953 miles away from home in Seoul, South Korea. They are NCT 127 and with their new album, #127 Regular-Irregular - The 1st Album, they are taking their first steps to becoming the United States' newest favorite K-Pop group. Unveiled in 2016, NCT, an abbreviated form of Neo Culture Technology, is SM Entertainment's limitlessly expanding boy group with their eyes set on dominating the global music scene. They are the catalyst to SM Entertainment's plan of achieving "Hallyu (the Korean Wave) Localization," by creating a group with an unlimited amount of members and team configurations that can be based not only in Korea but in other massive music markets like Japan and America. With numerous teams, NCT can release multiple albums throughout the year, perform around the world, and prepare for their next comebacks seamlessly. The heart of the group is its bubbly, boyish members, who reflect the group's international ambition and appeal. With 18 current members (and room for more), NCT range in age from 16 to 24, hail from seven countries (Thailand, America, Canada, Hong Kong, China, South Korea and Japan), speak six languages (Thai, English, Cantonese, Mandarin, Japanese, Korean), yet despite the distance all share the same, singular dream: to become K-pop stars. A majority of the members have been performing long before NCT's creation as part of SM Entertainment's pre-debut group SM Rookies. Now, as NCT, they work tirelessly writing, recording, and learning complex choreography to participate in one or more of NCT's four current teams: NCT Dream, NCT U, NCT 2018, and NCT 127. Seoul's representative team, NCT 127, is spreading K-Pop from its origin point outward; the "127" in their name being the longitudinal coordinate of Seoul, South Korea. The group debuted in 2016 with seven members and the single "Fire Truck," an explosive, moombahton track that correlates diffusing difficult, everyday situations to a fire truck dousing flames. Their second single, "Limitless," saw the addition of two new members to the group, Johnny and Doyoung, and their third, "Cherry Bomb," secured the group's first win on South Korean music program M Countdown. After burgeoning a large fanbase known as NCTzens (pronounced N-Citizens), the group dived headfirst into the Japanese music market earlier this year with their first-ever fully Japanese mini-album and single "Chain." Their latest endeavor, Regular-Irregular, is NCT 127's first full-length album and sees the group gain a new member: Jungwoo. The album is divided into two sections — regular and irregular — to depict the contrast between predictable reality and fantastical dreams. It also features an all-English version of the group's new single, "Regular," a Latin-inspired trap single dreaming about a glitzy lifestyle full of VVS diamonds, gated mansions, and expensive cars. With NCT, everything comes back to dreams. 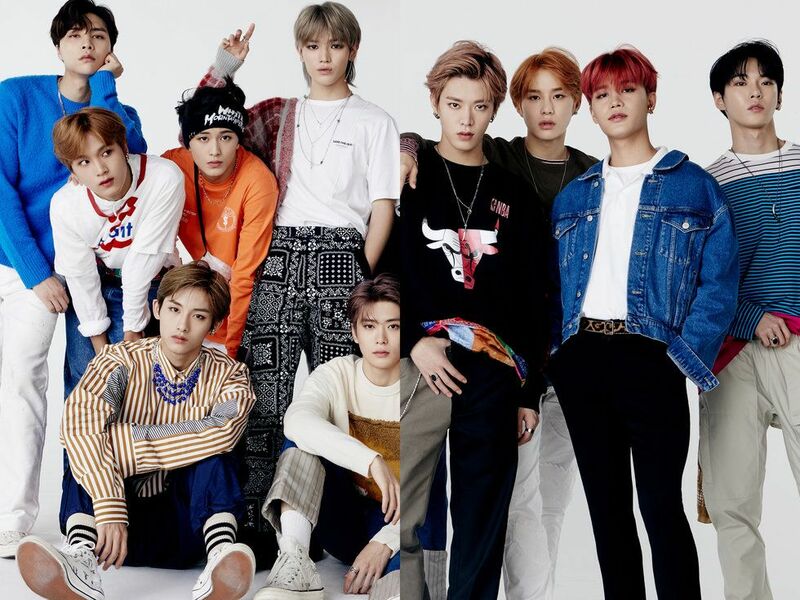 In the midst of their hectic L.A. schedule, which included performing on Jimmy Kimmel Live!, walking the red carpet at the American Music Awards, and participating in multiple events as Apple Music's current Up Next Artist of the month, PAPER chatted with NCT 127 about their new single "Regular," their favorite Disney films, and their dreams for the future. How does it feel to have Jungwoo join NCT 127? Jungwoo: I'm so happy to have joined the group and also a little nervous-excited! We were all already very close, and because they welcomed me, it was an easy transition. Because there's more members this time around, I think all of our charms are that much more heightened! We all have great chemistry. Hope everyone is as excited as I am! Johnny: I love it! As a part of NCT 127, he elevates the group so we can show a whole new side to the team. What's the meaning behind your comeback single "Regular?" Taeil: The lyrics are about dreams of becoming rich — something that anyone dreams about at least once in their lives. The song talks about doing the things we only dream about, but "on the regular." Because NCT focuses a lot on dreams with our music, we thought this would be a fun spin on "dreams" by taking on a lighthearted one like this. What's your favorite track from Regular-Irregular and why? Mark: It would probably have to be our title track, "Regular." It's a Latin trap song, which is really different from any of our previous releases. I'm also really curious as to what our fans will think of it as well! You've said that Regular-Irregular is an album about growth — how have you personally grown since debut? Taeyong: As we've tried out different genres of music throughout our careers, I think we all grew a lot as artists. I'm very proud of this new album because I think it really shows that process of growth and the many ways we've challenged ourselves across different genres of music. NCT 127 experiments with so many different genres; do you enjoy performing bold songs like "Cherry Bomb" or ballads like "Angel" more? Jaehyun: They're both so different that I can't really say I like one over the other. But like you mentioned, "Cherry Bomb" is very bold, with a dynamic, eye-catching performance, and we all put our everything into it when we perform it because it's one of those where we need to bring it every single time. Doyoung: "Angel" is softer, so it's a song where we can interact more with our fans as we perform it. Our group doesn't really focus on a single genre or type of music style, but we want to showcase our diversity as artists — whether it's through dynamic performances in songs like "Cherry Bomb" or slower songs like "Angel." You're performing at Mickey's 90th Spectacular! What's your favorite Disney movie? Haechan: I love classic Disney movies, and I'd have to say The Lion King is one of my favorites. Also, in Korea, Mark and I were a part of Disney Channel Korea's Mickey Mouse Club. So when I found out that we were invited to perform at Mickey's 90th Spectacular, I was super excited! Can't wait for you all to see our performance! Johnny: I watched Fantasia a lot because I thought it was a really well-made film, especially with how they combined animation with classical music. In general, I feel like we all grew up with Mickey Mouse since we were kids, so it was a cool stage to perform on. Your album Limitless has "Back 2 U (AM 01:27)" and now Regular-Irregular has "Replay (PM 01:27)." Are these songs related? Taeyong: So these two songs aren't necessarily related, but "Back 2 U" is a sad breakup song that's good for listening to during late nights, around 1:27 AM as the song title says. "Replay" is a song with a faster tempo, making it a nice afternoon track, one to listen to around 1:27 PM. The lyrics for "Replay" are about reminiscing on the good old days. How was recording "Regular" entirely in English? Why did you decide to record an all-English version of the song? Mark: It was a lot of fun, especially because we're usually only singing in Korean. Because the language is different, I realized the delivery itself is very different as well. It was pretty difficult to record both the English and Korean versions with the same feeling and vibe. I hope our fans like it though! Winwin: It was a bit difficult for me to be honest, but I still had a lot of fun. 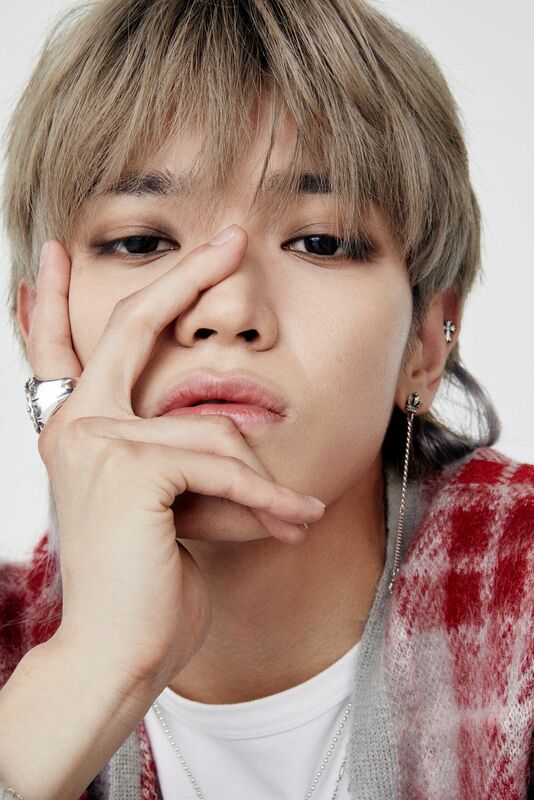 Taeyong: I think music is an expression of our emotions, and language is like a tool for us to do so. Since we all come from diverse backgrounds, it's interesting to see how these tools are used in our music. The final track on the album is "Run Back 2 U" which you performed as SM Rookies! How does it feel to release a complete version of the song three years later? Yuta: So this song is the full version of the song used as background music for our "BASSBOT" video before our debut. We had first worked on that song 3 years ago, and re-recording it as NCT 127 was a reminder of how much we've all grown since then. It felt pretty cool. It's also a bonus track on this album, which is NCT 127's first full-length album—a little present we prepared for our fans! Hope they enjoy it. What's one song from another NCT unit that you wish you could've performed? Taeil: I personally like NCT U's "Boss." The sound of the bass is really powerful, and the performance is also pretty bold. I personally like the choreography during the hook. It would be cool if we could perform the song with different members in the future someday. What makes NCT 127 irregular — do you have any quirky habits? Johnny: I always have to chew gum before I do any radio shows. Taeyong: You can find me doing push-ups before every dance practice. Yuta: When we eat, I make sure to take a bite of everyone's food. I have to try them all! Jaehyun: Don't ask me why... But when I sneeze, I always do the dab. Jungwoo: Right before I have to do something really important, I crack my knuckles/fingers. The album is split between reality and dreaming — what's your dream for the future of NCT 127? All: Just the fact that we're here in America and are able to promote our music with such great reception from our fans is a dream itself. We want to continue to make music that inspires and speaks to fans all over the world and also want to become a group that the world's never seen before. And of course... We eventually want to do a world tour!